BikeSafe Courses: We joined a group of police motorcyclists giving bikers practical tips on how to ride safely to the limits. The first thing that becomes apparent when you join a police-run BikeSafe course is that all notions of ‘them and us’ go out the window. You are all just a bunch of bikers. Swiftly, like all biker conversations, talk turns to the latest bikes, longed-for bikes, the bikes that should never have been sold and the antics you’ve been up to. 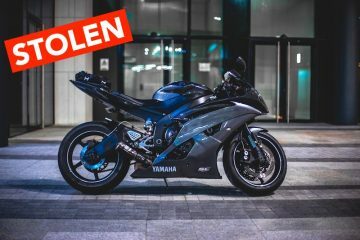 Tales of unmarked ZZR1400’s hooning around the countryside made the non-officers realise being a bike cop definitely has its moments. Who better then, to teach you how to ride to your abilities, to the conditions, to the speed limits; safely and maybe more progressively than you might have been going before, but always within the law. 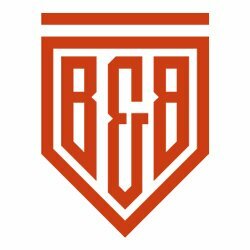 BikeSafe days are split into two sessions. 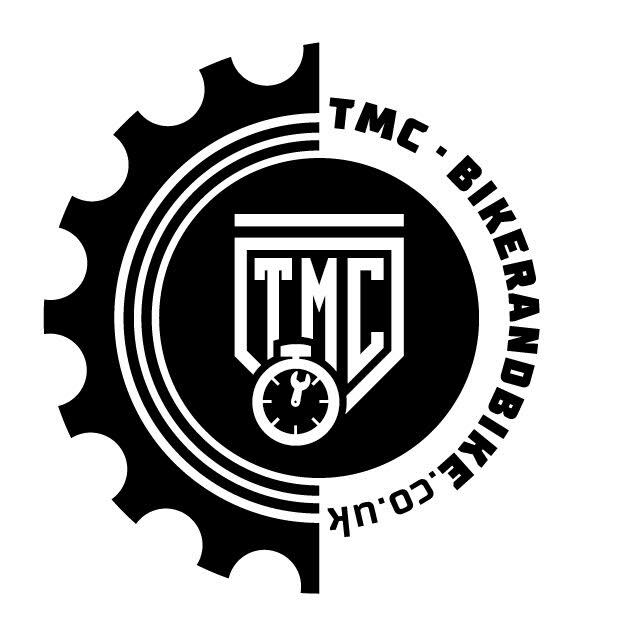 In the morning there is a sit-down group session with an instructor, followed by on-the-bike observed rides done in groups of two riders to one observer. An hour or so of the BikeSafe morning is mostly spent watching some pretty useful videos and picking up on observations made by both the instructors and the students, most of whom were fairly experienced bikers treating the day-long course as a top-up on their skills, with a couple more newbies using BikeSafe as a step on from their DAS courses. One section was particularly interesting as the officers discussed the subject of SMIDSY’s (Sorry Mate, I Didn’t See You accidents). As well as being BikeSafe instructors, all of the officers are serving traffic officers. As such they see their fair share of crashes, many of which at junctions involve a SMIDSY. “It’s now a proven phenomenon that the way the eye works it is entirely possible for a driver to look directly at a motorcycle or cyclist and through no fault of their own not actually see them,” explained the instructor before showing the video on saccadic masking, below. Saccadic masking describes how the eye actually takes a series of pictures as the head moves when scanning a junction. As the head moves quickly, the eye takes ‘shots’ or frames, in a similar way to a camera. During this, a frame can miss even a large object like a motorcycle, especially when it is travelling at speed. There is nothing much the motorcyclist can do about whether a driver has or hasn’t caught them in a frame, except adjust their road speed, position and readiness to take evasive action, each time they see a driver stopped at a junction. But how many riders actually do this, at every single junction? 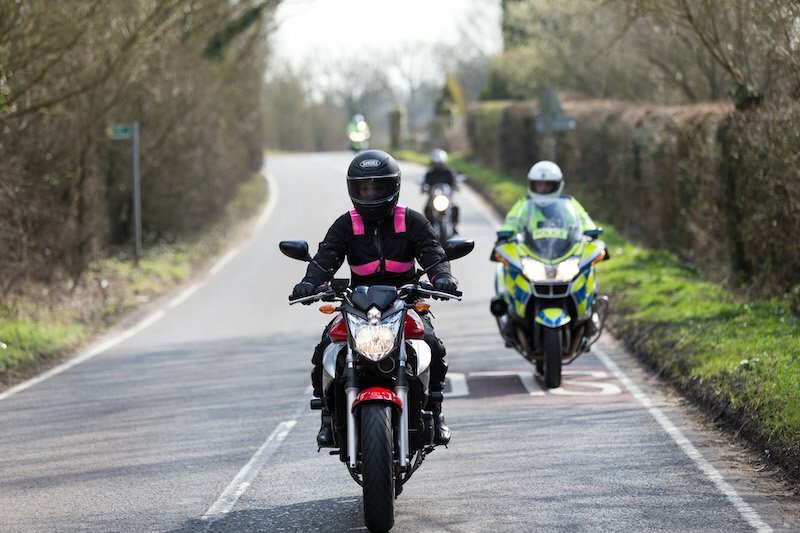 After a BikeSafe day, you are more likely to and that’s the point of the course – a heightened awareness that raises your ability to ride safely and well. 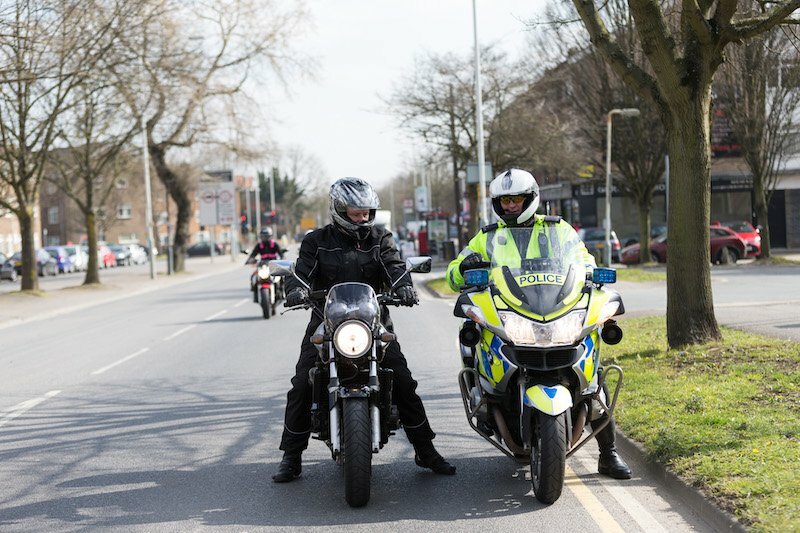 The BikeSafe course, which, in some areas, can also be given by highly trained riders who are not serving officers, is highly influenced by the causes of many of the accidents that police have to deal with. Although this is not six weeks’ of intensive police training, in many respects the approach here is to – if not bring you up to a police rider’s levels of awareness and road craft – at least start you thinking that way. Many of the tips and suggestions are straight out of the police driver’s training manual, Roadcraft, a publication anyone can buy. Probably the most useful is actually from the Highway Code: Drive at a speed that will allow you to stop well within the distance you can see to be clear. The emphasis and practical advice is very much on what you can do to safely maintain speed once you have got up to the permissible limit. Much of it, for experienced riders at least, is stuff you will have been practising for years, like road positioning in relation to corners – “stay left to go right, so you have a longer view around the corner” and using the 1, 2 and 3 positions in your lane. But still, it’s good to be reminded of why these road positions can help you maintain a progressive speed. With tips on board regarding filtering and other subjects, we headed out to the car park for the observed rides sessions. I won’t lie, myself and the others all felt a little nervy about having our riding skills assessed. Who wouldn’t? Even the officers admitted to nerves when they undergo their regular driving assessments. Usually, one officer is assigned to two students, who regularly swap from front to back with the police rider observing from the middle. I got lucky and bagged a single officer for myself, a lovely chap called Constable Dave Spickernell. 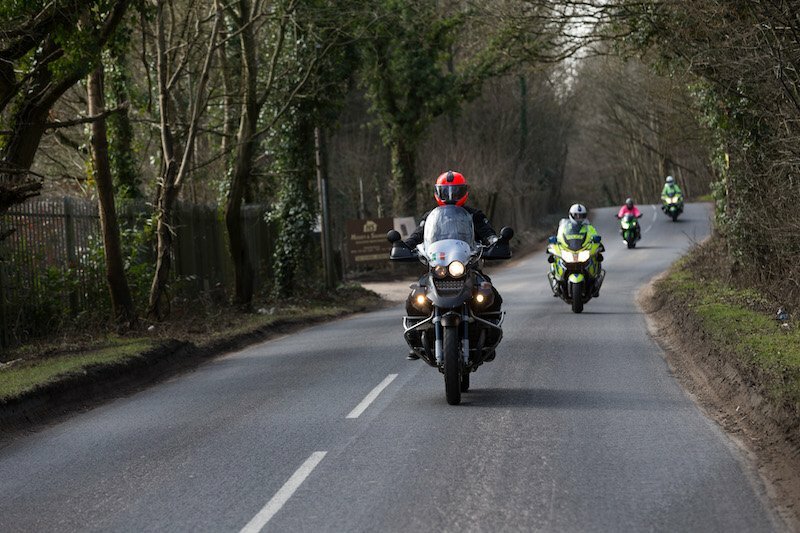 From our starting point at East London’s Bike Shed, one of the host locations for BikeSafe courses, we headed out towards the country and in fact some of the best roads of biking in the South East, the winding lanes and fast A-roads that surround Finchingfield in Essex. We’d been told not to worry about people using their phones behind the wheel and other crimes, “We are on duty – not interested in other road users unless it’s an armed robbery,” was the instruction. The only thing PC Spickernell wanted me to worry about was, “Making progress,” the term for getting a move on. This doesn’t mean ‘go as fast as you can.’ Instead it is a requirement to get yourself in the zone, so that you can be decisive about maintaining your speed in relation to other road users and any hazards that may be thrown up, like side turnings, large oncoming vehicles and ‘known unknowns’; in this part of the world that’s going to be horse riders and even the odd stray animal. One of the aims of the course is also to interest riders in advancing their skills by going on to take advanced riding courses with other providers, like ROSPA, IAM RoadSmart and independent advanced riding instructors. 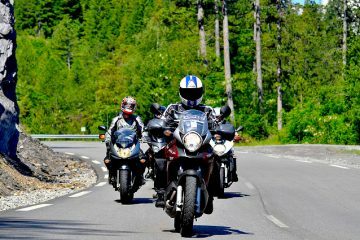 Many of the techniques taught on BikeSafe are a staple of advanced riding. The good news is, after my first observed ride, Dave had very few criticisms. His only real concern was that I wasn’t straightening out corners enough when presented with a series of bends. This is a good example of the officers wanting to use the road to make progress – although it’s nice to whoop your way through three-to-four strung together corners, the opportunity was there to maintain the 60mph speed limit by creating a more direct line through the combined bends. “You could see through each corner, there was no oncoming traffic and the road markings indicated you could cross the central line. If you had taken a straighter line, there would have been no need to get off the gas for the first corner and subsequently get back on it coming out of the last bend.” That would have helped me maintain progress. While we were chatting news came through to Dave that some of the other students hadn’t faired so well, with one rider coming close to leaving the course as his standard of riding was so poor. Given that two of the riders had just passed the A2 licence test it possibly meant that one of the ‘experienced’ riders was way off the mark. A good reason why anyone, no matter how good they think they are, should consider doing BikeSafe. For me, with the pressure off slightly, the second ride was hugely enjoyable, and I completely forgot the bike behind me was fully marked, with blues and twos and a warrant card-holding officer onboard. 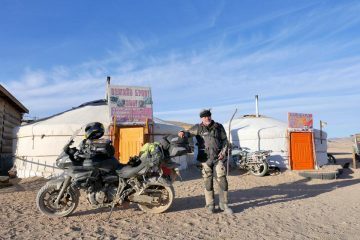 We just had a really great ride, stopping off for a brew halfway around. So good in fact that I asked for Dave’s route, so I could add it to my list of favourite rides. It’s a funny thing, going for a ‘blat’ with a police officer. But as I realised on the way home, who better to show you how to do it properly than the guys that do it all day long for a living? Do it: no matter how much of an advanced rider you are there’s always something to learn and if you are just starting out, it’s a great way to advance your skills. For the cost of a day and around £50, it’s well worth it. Most forces run courses from March through to October. If there is no course available when you view the calendar, you can join the waiting list (the blue button in the top right-hand corner of the calendar) to be informed when the next courses are available. Courses cost from £12 to £60 depending on where you are in the country, although the majority of courses are around £45-50.